The Raja of Ramnad - these words itself are very special to my mother and my Thatha. Maharaja Shanmukha Raghunatha Sethupathy was the last who had the kingdom and later it was taken away by the Zamindari Act. He was also a Minister in the Central Govt for some time. Thatha and the Raja were class mates in Presidency college and were cricket-mates. The royal family of Ramnad, have a great culture. Even though they were royal descendants belonging to the Mukkulathor, members of the royal family would address others with respect. Even a child was addressed with respect by them. Addressing anybody by their first names was not in their practice and as a result nicknames were awarded. One of the great violinists, who used to laugh with a peculiar mannerism was called 'Gubeer' Iyer (The Grandfather of Lalgudi G Jayaraman). Thereafter he was always addressed as 'Gubeer'. My Thatha who, during one of the games, fell while attempting to catch the ball. This entire act reportedly resembled a Korali Viddaikaaran of those times. And from then on my thatha got to be known as Korali Iyengar. Thus did everyone get their own nicknames while the royal family maintaining the custom of not calling anyone by their first names. Even though they were friends, the Raja always welcomed Thatha as "Vaanga Korali" and my Thatha in turn always addressed him as Maharaja. The royal connection continues till now. Our family doctor is a descendant of this very family. Dr Prasad, nephew of Shankukha Raghunatha Sethupathy, is affectionately called by his kith and kin as Pressy. His mother, Ganesha Kunjara Naachiar, the sister of Raja Shanmukha Raghunatha Sethupathy and mom were very close. Shri Kashinath Dorai, her brother together used to narrate a lot of stories about music in the royal durbar. They were all descendants of the great Bhaskara Sethupathy, the great patron of Swami Vivekananda who had sponsored the Swami's trip to Chicago to the Parliament of the World's Religions where he rendered his famous speech beginning with these words "Sisters and brothers of America". The Ramnad samasthanam patronized great musical scholars like Maha Vaidyanatha Iyer, Patnam Subramanya Iyer and Ramnad (Poochi) Srinivasa Iyengar. Sri Kasinath Dorai used to narrate countless anecdotes and stories about their musical plights to mom. Days and days, hours and hours in the huge patio of Ramnad House in Cenotaph Road, (Now the Russian Consulate), became a platform for improving her acumen in musical history and musical techniques of Ramnad lineage. Incidentally Sri Ariyakudi Ramanuja Iyengar is the disciple of Sri Poochi Iyengar; Sri B Rajam Iyer and Sri K V Narayanaswamy were disciples of Sri Ariyakudi and my mother had the opportunity of learning from both Sri B Rajam Iyer and Sri K V Narayanaswamy at the Music College, Madras. In a way, she was destined to follow the Ramnad tradition. Poochi Iyengar was made to learn from both Maha Vaidyanatha Iyer and Patnam Subramanya Iyer. Maha Vaidyanatha Iyer had a forte on the higher octaves of music while Sri Patnam Subramania Iyer was an exponent in Tanam and had exclusive techniques in Tanam. Sri Kasinath Dorai used to reel of demonstrations of Patnam Subramania Iyer's 'Chakra Tanam', 'Manduka' and 'Markata' Tanams. The same Manduka Tanam when narrated and demonstrated by Swami Shantananda Saraswati during a drive from Kuala Lumpur to Johor Bahru in 1998 was a reliving experience to my mother. But Swamiji narrated as the technique being taught to him by a Sangeeta Swami of Kashi while Kasinath Dorai was narrating the technique as was practiced by Patnam Subramania Iyer. Poochi Srinivasa Iyengar was sponsored by the royal court to learn from both Gurus to imbibe all the qualities of both stalwarts. Learning under two Gurus was next to impossibility in those days. But because it was a royal command, both stalwarts taught Poochi Srinivasa Iyengar who also became a Vaggeyakara. (A Vaggeyakara is a Lyricist-composer). Dr Prasad's mother, Smt Ganesha Kunjara Naachchiyar avgl, Srimaan Kasinath Dorai avgl and my mother used to have several musical sessions, a lot of which I shall hope to strike down here. **Most of the content here is narrated by mom and is reproduced verbatim. Thideernu ithana post ah? 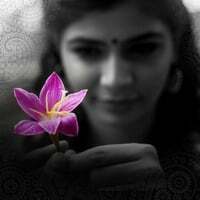 You may now be called as 'Thiddeer Chinmayi'! Lol!! Your mother is undoubtedly a woman of substance, intellect, passion and gumption from what I have read from your recount. I think this should be written as a biography and published. What better way than a doting daughter writing a biography of a fantastic woman who is her mother. The narration is exceptional. I think Russian consulate is Kasturi Ranga road... or is it some other place u referring to? Waiting for the story to unveil.. This series of posts is absolutely delightful. As someone suggested, you probably could write a biography :-) I miss reading your mother's Music blog, I learnt so much from there. People with knowledge AND the willingness to spread it are a treasure. Inspiring posts..Can't wait to read the next one. Will your Dad deserve credit here atleast? All of us know for a fact you dont like talking about him but then you wouldnt be here if not for him, whatever be the case. And when writing a bio abt your mother, why not talk abt this? And it's so easy to not publish this comment and go unanswered :) Typical !! Anonymous: My mother was not married when she was 12. I am trying to follow of a historical order. And I don't know why you are fighting for the rights of my father and for a mention in this blog. I don't mention a ton of others too. He should be very pleased to know that someone out there is shouting out so that he gets a mention here. My father requires no credit for who I am today except for the chromosome. My mother has brought me up since I have been one year of age and single handedly. I am not going to write about him unless absolutely necessary. So can you please relax? Namaskaram. Im not sure if you will remember me but i had provided tabla sangat a few years back. I have been a regular reader of your blog and was finally tempted to post a comment. Normally i dont do so. Most wonderful to read about such an illustrious person. I am all ears or eyes should i say, to read the rest of the story. I am most delighted by the closing line of your post- that your Mom is in possession of a 100+ old tanpura of Ust. Abdul Karim Khan. I have been fortunate enought to be associated with Khan Saheb's family- l earn from his great grandson. I will tell him about this and he will be really delighted. Wonder where did dad some in middle of historical journey. . I guess you should ask your mom to start blogging . . I had stopped checking you blog for sometime since there was no update only to realize i have missed few action . .
waiting for the next one . . Completely agree for the chromosome part.. But then it's an essential part for evolution. And am by no way trying to support him, your anger could be completely justified, no one shld deny that and its a personal choice, but then what prevents from you mentioning him? Its a name.. And btw you carry a Surname too? Is't not? Dead or alive, he was here in this world and whether you like it or not you have inherited his genes, so why the fuzz? *fuss* FYI. And as I said I don't know why you are fussing about something where, according to a chronological order I haven't even come to the time of her college. Since you apparently realize and have said so too, its a personal choice. And you seem to be the only crying out for me to mention his name, even before from the same IP. Wow!! that was a pleasant surprise!! Thanks . My wife and I are doing good and we now have two wonderful daughters Purvi and Malavi. I just saw a typo in my comment- I learn and not "earn":). And to add, may i congragulate you on your blog posts as well?. I have read somewhere that yours is one of the most widely read ones and I must say that reading your posts one does feel that it should rightly be so. Keep your good work going!! Anonymous: From several months ago. Not now. Nice to listen your song Titli from chennai-express. Keep going on. God bless you.